A recurring complaint about social media is that it fosters “echo chambers,” where people are encouraged to consume only content that reflects views they already hold. These bubbles of positive affirmation have been blamed for the spread of fake news, and are the subject of serious concern for those who use social media regularly. But there’s some good news: If the data in one recent study is anything to go by, the average social media users might not be opposed to outside views, especially if they trust the source. Social media agency The DataFace put together an experiment wherein they’d test receptiveness to political content. They surveyed a total of 1,400 people of various ages, with a mix of self-identified liberals, conservatives, and moderates. Each person would be shown 8 videos — 3 from liberal sources, 3 from conservative sources, and 2 which were non-political in nature (kittens, for example). In order to best simulate the experience of social media, study author Oliver Gladfelter told participants they could skip videos at any point they liked. After they’d watched all of the videos, he asked them to judge the source’s trustworthiness, and whether the material had changed their viewpoint. 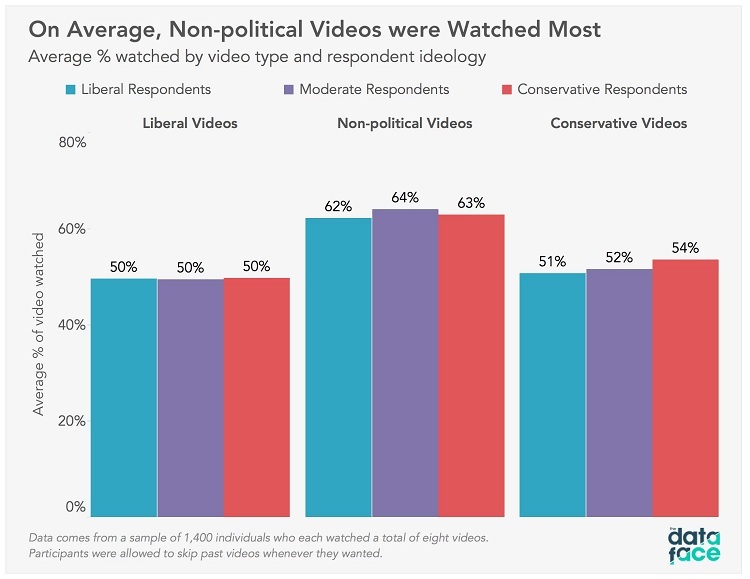 Perhaps not surprisingly, the non-political videos had the best views across the board. Older viewers were more likely to watch videos they perceived as credible, though people of all generations apparently skipped past an Infowars video very quickly. While only 16 percent of respondents said the videos changed their viewpoints, that number rose the more credible the video in question was perceived. Perhaps the key is to let the reader — or viewer, in this case — make their own decision to watch the alternate perspective in question.